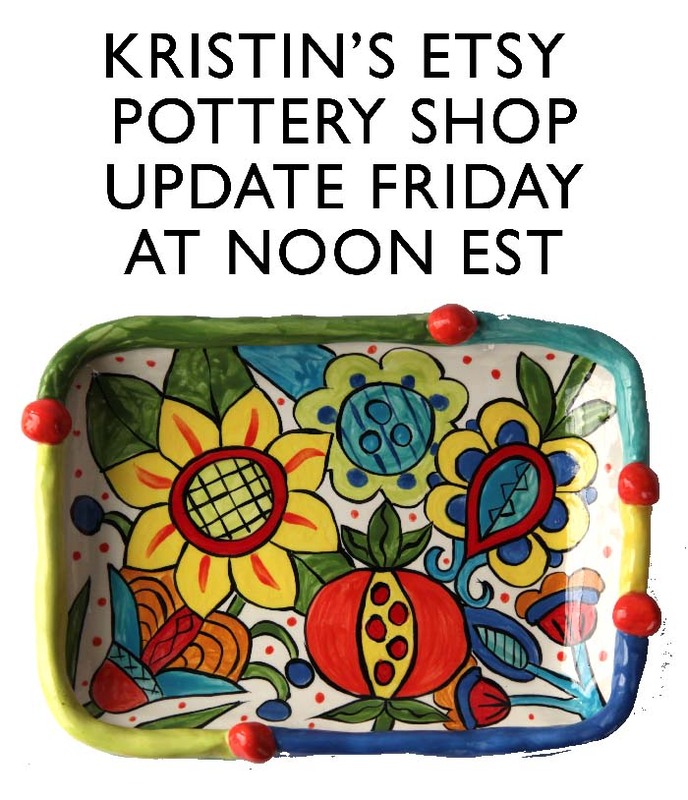 Coming tomorrow - Friday December 11th - at NOON Eastern Standard Time! I will be updating my Etsy shop with lots and lots of new pottery. Just in time for Christmas gifts. Here is a sneak peek of one of the large platters. It has taken me most of this week after the Open House to photograph, describe, measure and list these pieces on Etsy. I'm not sure which is harder - opening our home which took a heck of a lot of work or listing on ETSY. Whatever - Please stop by and check out the shop here. 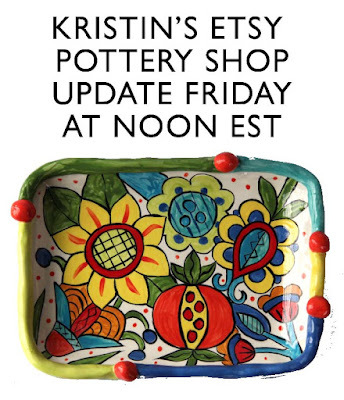 New work will go live at NOON Eastern Standard Time.